How do I enable the hibernate option. Editing hibernate.pkla doesn't work. and restarted, but nothing happens. Make sure that the value for Hibernate is set to Hibernate, not inactive. Not the answer you're looking for? Browse other questions tagged hibernate or ask your own question. 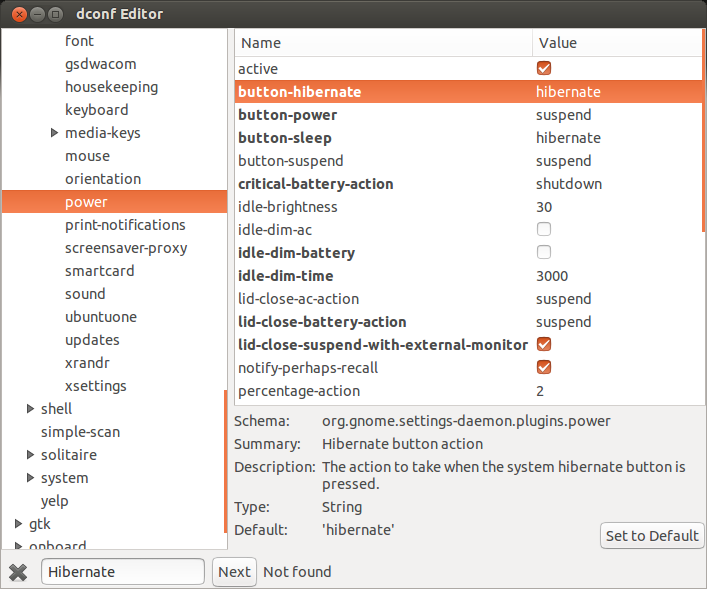 hibernate is diabled on ubuntu 13.04? Hibernate doesn't work properly in Ubuntu 16.10!